The latest vandalism resistant surface luminaires and damp proof tube lights will be on show for the first time in the UK. LEDVANCE is bringing its range of efficient, low maintenance LED lighting products to Elex including vandalism-resistant surface luminaires and its damp proof compact LED tube lights. 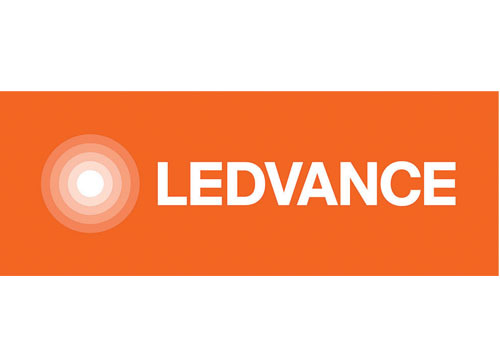 LEDVANCE experts are available throughout the event to help visitors identify the right solution from the thousands of LED lighting products offered by LEDVANCE. With a thickness of only 61 mm, a very flat design is also a feature of the Surface Compact IK10 which will be on the LEDVANCE stand at Elex. At IK10 it offers the highest possible impact resistance and is also protected against theft and vandalism. In addition, the luminaire passes the glow wire test at 850°C, is sealed for life and can be used in damp locations thanks to its IP65 type of protection. In view of its robustness it is ideal, for example, for stairwells and public buildings. At 4,000K it delivers up to 1,920 lumens, and up to 1,800 lumens at 3,000K. Its rated life is up to 50,000 hours, and LEDVANCE offers a five-year guarantee on the Surface Compact IK10. Ideally suited for commercial halls and production warehouses, the design of the Damp Proof Compact luminaries focuses on three key needs of professional users: simple installation, excellent efficiency and long nominal service live. Thanks to retaining brackets that can be freely moved along the entire length of the lights, the luminaires can be easily and very flexibly installed. As a result, luminaires that use traditional, energy-inefficient lighting technology can be quickly replaced. The electrical installation for the luminaire Damp Proof Compact can even be done without tools. The electric block is easy to reach with the help of a twist and lock mechanism and the electric connection with a convenient spring clamp terminal block. The luminaire comes with wiring already preassembled, and only the connections on each side are involved in the installation process. The Damp Proof Compact is very efficient with up to 120 lumens per watt. In addition, its form and the surface structure within the luminous element create a large beam angle of 120° with homogeneous light distribution. This, in turn, produces indirect lighting that pleasantly accentuates a room’s ceiling. With an IP66 type of protection and an IK08 impact resistance, this model is capable of withstanding tough tests and is protected by anti-theft clamps. The luminaires have a nominal service life of up to 50,000 hours and are covered by a five-year LEDVANCE warranty.